Well done to the entire school community for making this year's Comic Relief fundraising events special. March and Friday 15 March. 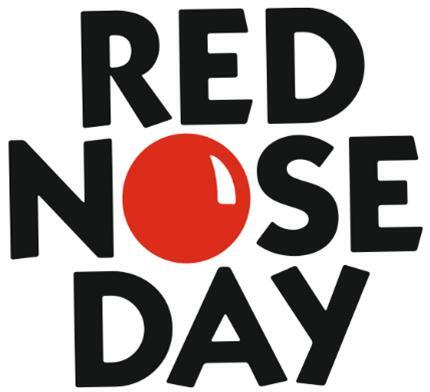 Our non-uniform day coincided with Red Nose Day on Friday 15 March and staff and children dressed for the occasion; many putting a lot of thought, time and effort into producing the perfect 'wear something funny for money' outfit. A group of children even co-ordinated their outfits and came dressed as members of staff! A number of children also organised their own sponsorship event, with many children managing to successfully achieve their goals including a number of children, who challenged themselves to remain silent for the entire day at school! Lessons went ahead as normal and the highlight of the day was a lunchtime appearance by a number of school staff, who took to the stage with a packed audience for their musical performance 'Lost Direction'. It was a very enjoyable day which by the end of Friday had already raised £1369.00 for Comic Relief. Thank you to everyone who took part - both at home and at school. A great effort! Take a look at a selection of images from the events which are displayed below.